We have made countless trips to Indonesia (over 40 to Bali alone) since the mid 1980s for both pleasure and business - sourcing hand-crafted decorative and ethnic artifacts, old and new, for ourselves and our former fair-trade business World Art & Crafts. We simply love Indonesia and its amazing diversity of culture, and have visited many of its major islands including Sumatra, Sulawesi, Java, Bali, Lombok and Sumba. This category contains some of the Textiles we collected for ourselves during our travels. They include beautiful ikat and songket weavings from Bali, Sumba, Flores and Sulawesi. Please look back as more items will be added shortly. More Indonesian crafts can be found in the Ethnic Art & Craft, Ancestor Figure, Wood Carving and Mask categories. 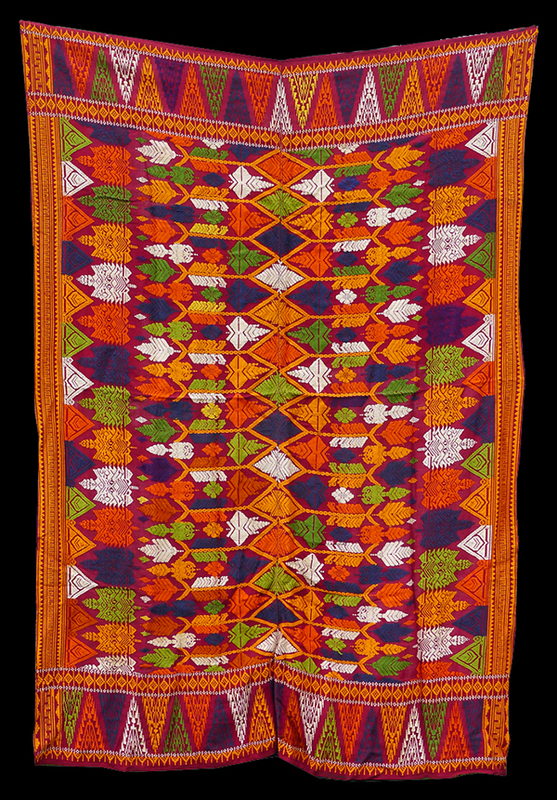 Balinese Songket Saput or Waistcloth A really superb example of a man’s hand-woven songket saput..